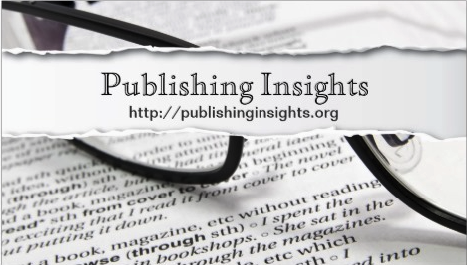 Conceived by Sherry Chen in November 2014, Publishing Insights aims to introduce the latest news about publishing industry around the world, with the intention to engage the online literary community and provide an open space for discussion. Updated twice every week until March 2015. Currently not updating. Sherry is particularly into academic publishing, and she aspires to develop a dual career in publishing and the academia someday. She is the Founder and Editor-in-Chief of Mercury – HKU Journal of Undergraduate Humanities, a formal Hong Kong University Press intern, and a TED translator. Fascinated about today’s changing publishing landscape, she decides to dedicate herself into posting news and writing reviews on this website, as preparation for entering the industry after completing a Bachelor of Arts from the University of Hong Kong and an MPhil student linguistics at Oxford University. With the motto “plus ça change, plus c’est la même chose”, she is determined to explore what are the fundamental changes and constants in contemporary (and very occasionally, historical) publishing. Credit has been given to the corresponding owners of all images. Copyright of these images remains with the original owners; No infringement is intended. Copyright of all written content is retained and shall not be distributed or reproduced elsewhere without my permission. The website “Publishing Insights” is a non-profit project. It is not in partnership/affiliation with any commercial organisation. Brands and campaigns mentioned in the posts are for discussion only. Thoughts and opinions shared on this website are solely mine and do not reflect those of my university/employer. I love your blog, I hope you like mine! Sherry, Thank your liking my posting on Renaissance Musings. And thank you for introducing me to your blog.